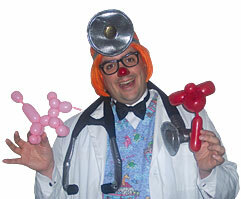 Dr. Scrubbles is an absent minded physician who has left his medical practice to heal children with laughter. The use of simple tricks and bright colors, along with objects that are familiar to children, creates a pleasant show for children of this age. Each show ends with some balloon creations full of color and creativity for the children to take home with them. The show is about thirty minutes long, based on the attention span of the audience. Fred is not your typical farmer. But then again, his animals aren’t your typical animals either. They sing, they tell jokes, they do magic, and much more. 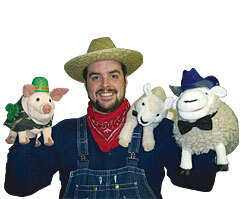 Join Farmer Fred along with Patrick the Pig, Casey the Cow, Sherman the Sheep, and Lennie the Lamb for a fun filled show for the whole family.